Carnival Cruise Line is upping its online game, increasing Internet access on board by widening access to its social media package fleetwide. They’re also spreading Carnival Breeze’s popular onboard app to five additional ships by the end of the year, then fleetwide by next summer. 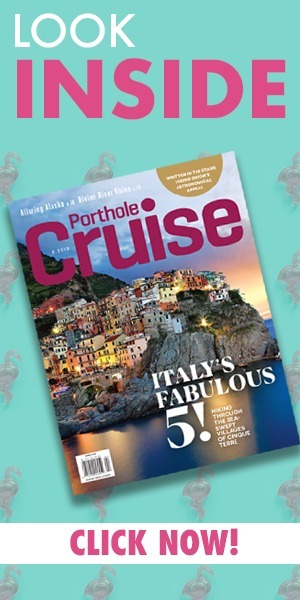 The social media package offers access to popular sites for only $5 a day, and should be on all Carnival Cruise Line ships by the first quarter of 2016. 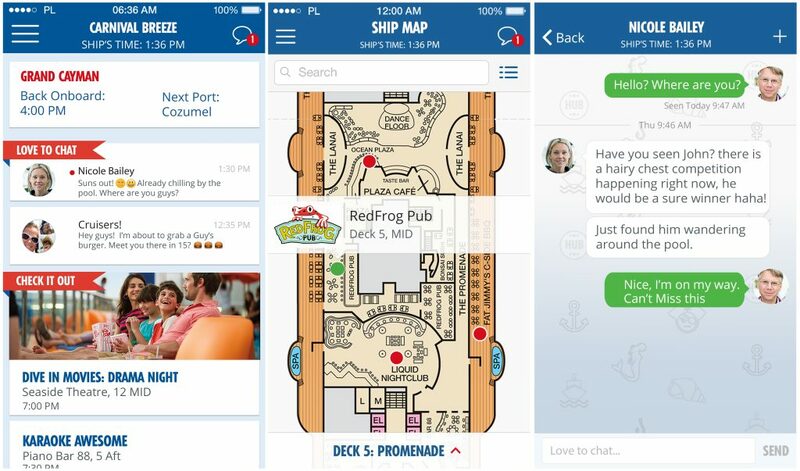 The Carnival Hub mobile app has a handy “chat” feature to keep in touch with fellow cruisers, as well as a schedule of onboard events and a guide to ship facilities and restaurants. Tauck is adding a fourth family-oriented river cruise to its portfolio in 2017, doubling its total family river cruising capacity. “We first began exploring the idea of river cruises designed specifically for families in 2008, testing the concept on selected departures along the Danube the following year, and formally launching our first Tauck Bridges river cruise, our ‘Blue Danube: Family Riverboat Adventure,’ in 2010,” says CEO Dan Mahar. “Since then we’ve expanded our efforts to include Tauck Bridges river cruises on the Rhone and on the Rhine.” Current family-oriented activities include scavenger hunts in the Louvre, medieval games in Bratislava, and interactive European cooking demonstrations focusing on chocolate, marzipan, and fondue. On the heels of last week’s show lounge announcement, Seabourn has released a sneak peek at the all-suite, all-veranda accommodations aboard Seabourn Encore. The upcoming ultra-luxury ship will feature 300 suites, ranging from nearly 300 square feet (plus a 74-square-foot veranda) up to the Wintergarden suites, which are more than 1,300 square feet (plus a nearly 200-square-foot veranda).